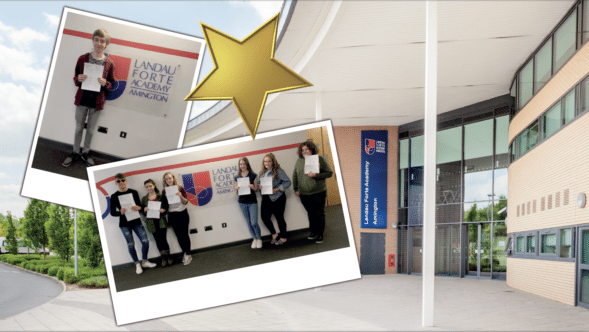 Students at Landau Forte Amington have celebrated their best GCSE results since the Academy opened in 2010. Students’ attainment and progress have improved and the staff at the Academy are proud of the number of students who have achieved the new ‘strong pass’ standard in English and Maths. Edward Chipman, Daniel Walsh, Bethan Durham, Josh Jones, Lewis Read, Paige Tennant, Jay Kara, Chelsea Prince and Megan Cassidy who between them achieved 3 Grade 9s, 8 Grade 8s, 10 Grade 7s, 21 A*s and 31 A grades.